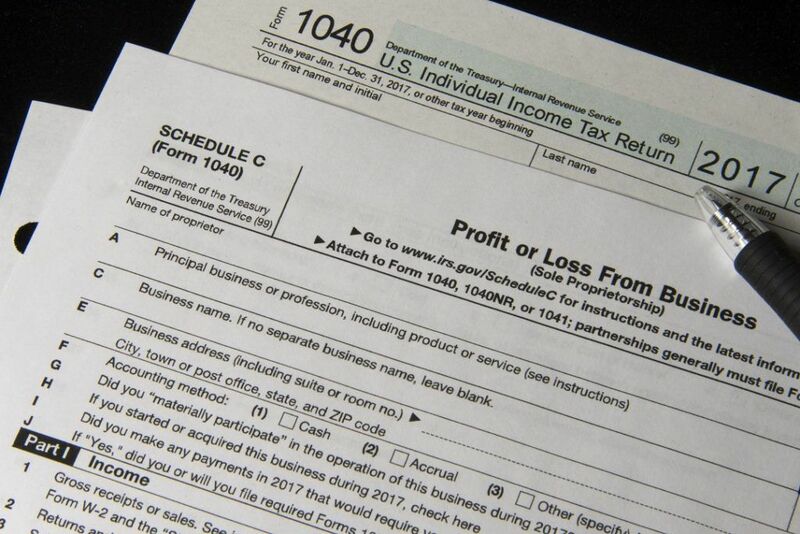 The Schedule C tax form (also known as the 1040 tax form) is a form that sole proprietorsSole ProprietorshipA sole proprietorship (also known as individual entrepreneurship, sole trader, and proprietorship) is a type of an unincorporated entity that is owned only (or single owners of businesses) must fill out in the United States when filing their annual tax returns. The Schedule C form is designed to let sole proprietors write off as much of their expenses as possible from their tax bill in hopes of spurring entrepreneurship. Eventually, some of the ventures will turn into highly profitable businesses that will bring in more tax revenue for the government. It is why the US Government wants to reduce the tax burden on small businesses during the time that they are most likely to fail, in expectation of seeing payback on the decision in the long term. The Schedule C form benefits both small business owners and the US Internal Revenue Service (IRS). Within the parameters set out by the form, small business owners can deduct a lot of expenses from their tax bill. Expenses such as advertising, commissions, fees, supplies, automotive, utilities, home office, and so on are all tax deductible. Anything that is deemed by the IRS to be “ordinary and necessary” can be used as a tax deduction. Such an open-ended approach enables small businesses to retain as much revenue as possible in order to finance their operations. The approach is deemed to be fair since it is generally agreed upon that the majority of the tax burden should be borne by large multinational corporations and high net worth individualsPrivate Wealth ManagementPrivate wealth management is an investment practice that involves financial planning, tax management, asset protection and other financial services for high net worth individuals (HNWI) or accredited investors. Private wealth managers create a close working relationship with wealthy clients to help build a portfolio that achieves the client’s financial goals.. It would take thousands, maybe even tens of thousands of schedule C filings to equal the tax revenue collected from a single, large multinational corporationMultinational CorporationA multinational corporation is a company that operates in its home country, as well as in other countries around the world. It maintains a central office. Thus, the thinking’s been that large corporations should be taxed more heavily than smaller corporations. The Schedule C form aims to help businesses set up as sole proprietorships. Unlike a limited liability corporation (LLC)Limited Liability Company (LLC)A limited liability company (LLC) is a business structure for private companies in the United States that combines aspects of partnerships and corporations., sole proprietors often do not enjoy limited liability and can be personally responsible for settlements in the event of losing a lawsuit. It means that the person suing the sole proprietor can go after the person’s personal assets such as his/her car, house, valuables, etc. Within such a context, we can see how the schedule C form is helpful to smaller businesses with lower profitability. Over several years of tax savings, the business would’ve obtained the opportunity to retain more of its earnings, which increases the likelihood of it staying afloat for several years to come. As the business grows and expands, it is able to acquire more assets, attract more investors, and ultimately pay more in taxes. Thus, the US government is able to successfully “recover” all the lost tax revenue that business owners were able to write off during the early stages of their business. In the later stages of growth, business owners are also very likely to switch to a limited liability corporation (LLC). Once a company becomes an LLC, its owners may be more inclined to make riskier business decisions, which can, in turn, translate into higher profits and thus higher tax revenue for the government. Tax DeductibleTax DeductibleA tax deductible expense is any expense that is considered "ordinary, necessary, and reasonable" and that helps a business to generate income. According to the U.S. Internal Revenue Service (IRS), in Publication 535, Business Expenses, "An ordinary expense is one that is common and accepted in your industry.